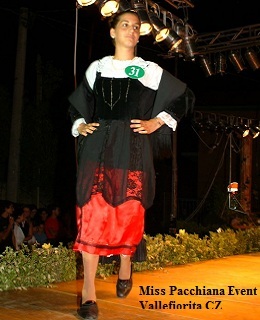 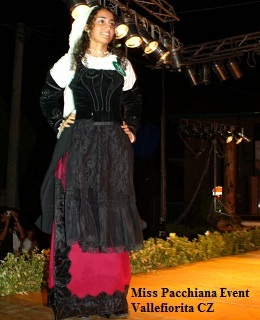 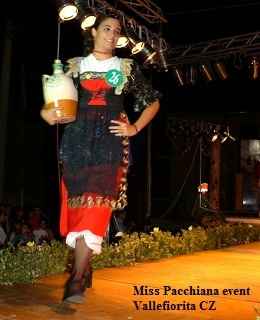 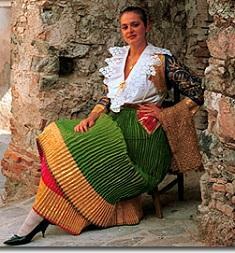 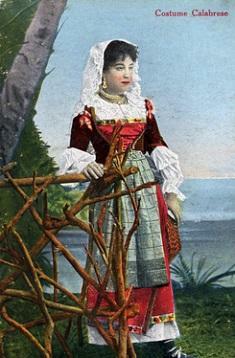 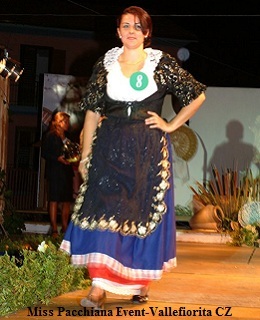 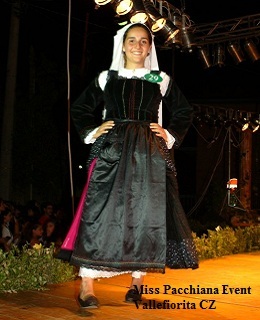 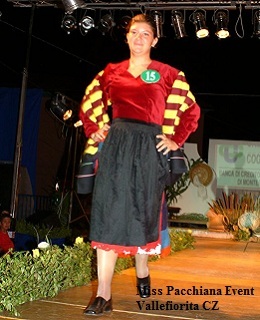 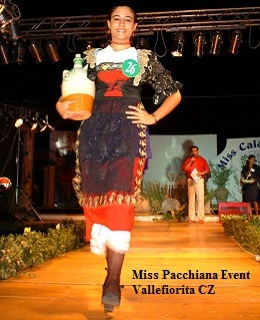 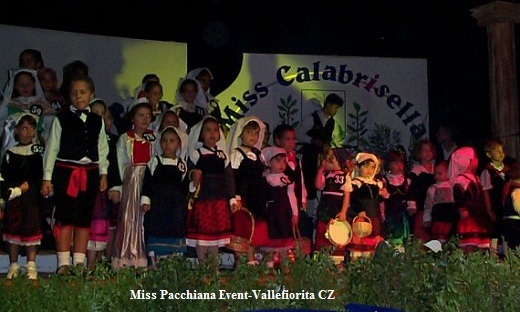 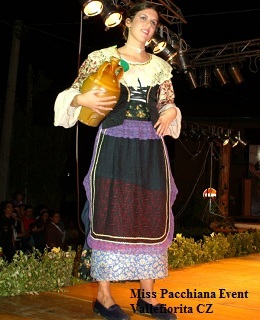 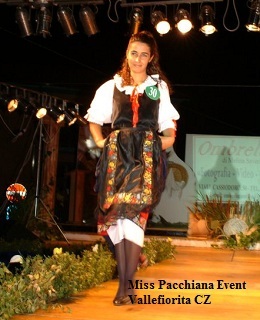 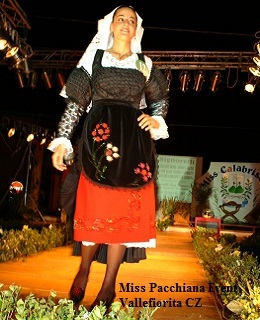 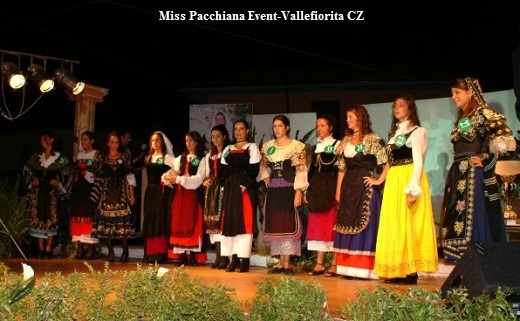 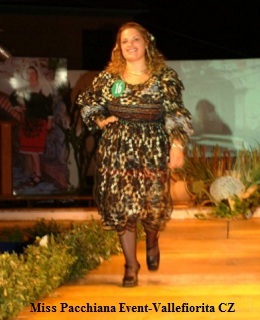 The 'Pacchiana Calabrese" is the woman who wears the traditional costume . 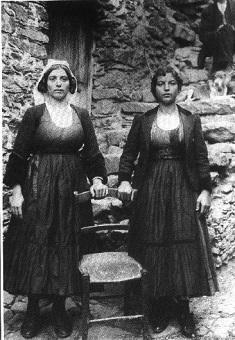 In Italian, the word 'pacchiana' means " that person (or thing) conspicuously vulgarly, without refinement or good taste, gaudy, eccentric and a little 'trashy "...in short, a villain. 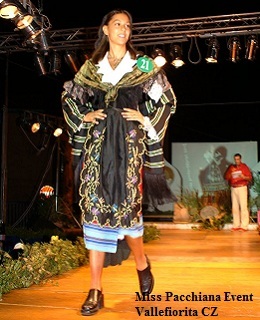 Each costume represents a village or town. 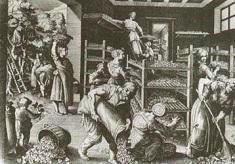 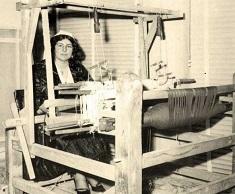 The costume worn by women was the work of expert craftsmen and only wealthy people could afford this expense. 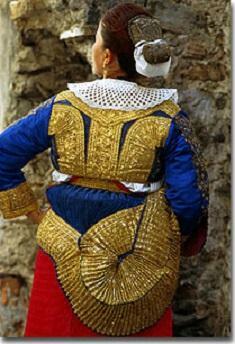 It cost a mint of money because of the high quality fabric, silver and golden embroideries, laces, jewels. 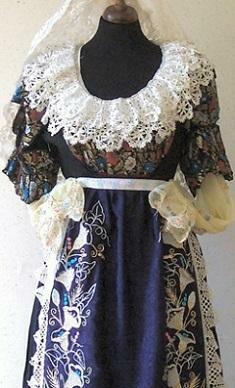 Buying such a dress was an investment and mothers and daughters passed it from generation to generation. 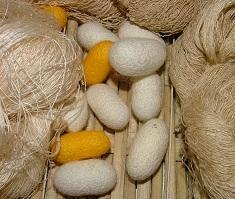 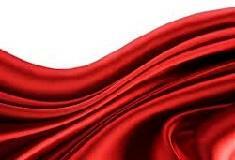 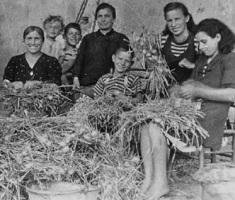 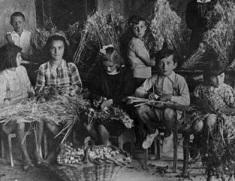 Worth mentioning that from the nineteenth century, and up to the second world war, Calabria was one of the most important producer of high quality raw silk. 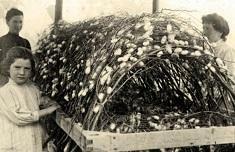 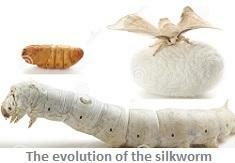 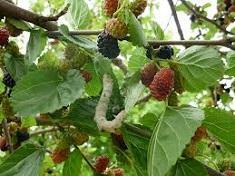 The countryside was literally covered with mulberry trees, and most families raised silkworms. 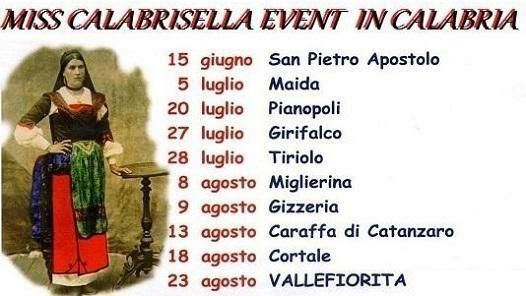 It is very encouraging to learn that in a few Calabrian towns (the Locride, on the Ionian side, San Luca, Caulonia Superiore, Plati) this activity is slowly being re-introduced. 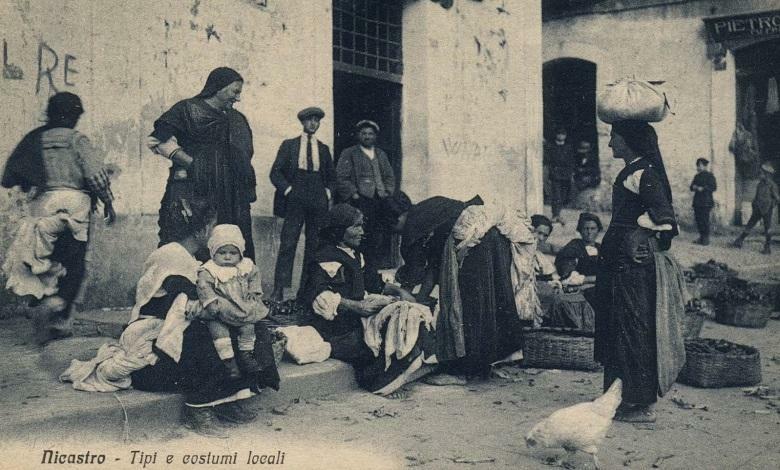 Once upon a time...in Calabria : Costumes from Castrovillari, Firmo, Frascineto, Porcile, Acquaformosa, Morano, San Basile e Cassano, mostly in the province of Cosenza. 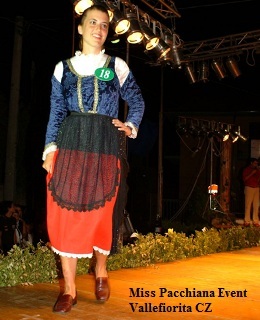 The men are wearing imported Balkan velvet berets a clear indication of the number of Albanian communities present in the region. 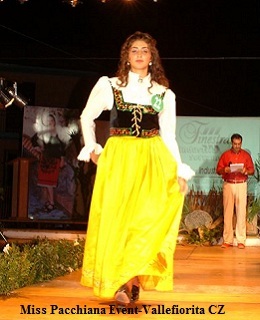 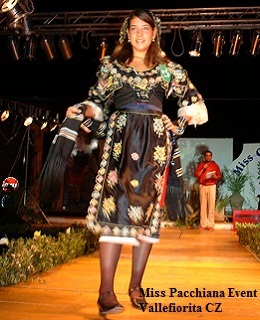 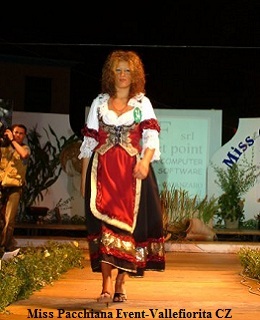 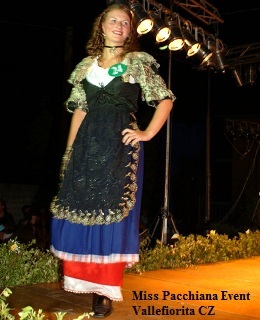 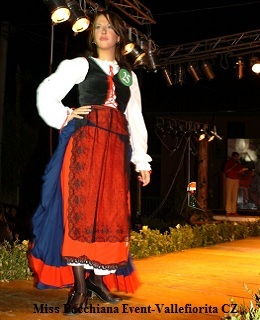 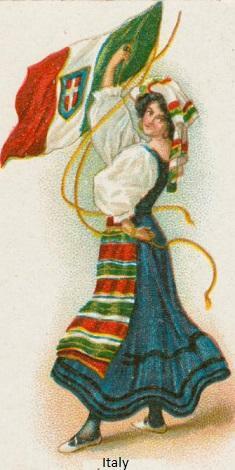 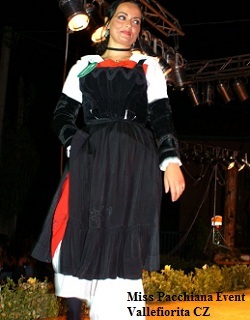 In the Cosenza province we find satin and silk, thickly pleated: bodices, boleros, aprons in white silk or red are richly embroidered in gold and finished with laces of extraordinary finesse, two are usually the skirts in use, of different color and shade, a characteristic that seems derived from a similar Albanian's custom . 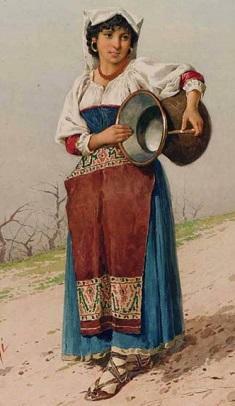 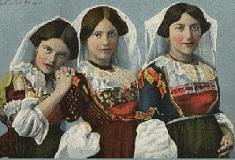 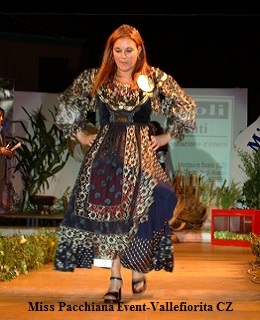 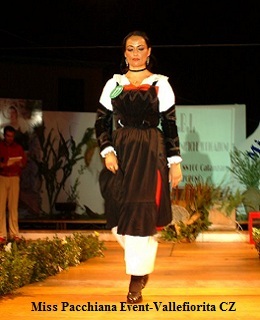 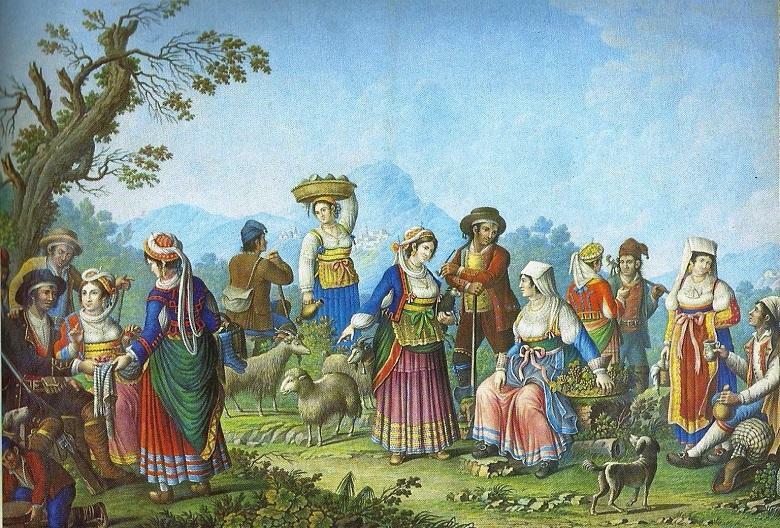 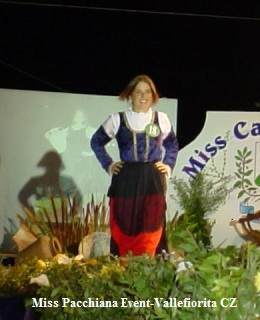 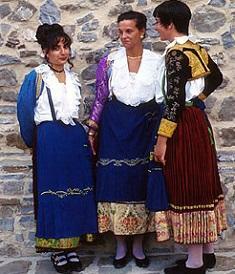 Other costumes entrusted its charm in a bodice plotted in gold normally worn on red skirt and black apron or varied lightly dark tones, becoming more austere in those communities (Guardia Piemontese - Occitani in Calabria or "Provenzali") in proximity of monasteries such as those costumes almost identically to those from Valle D'Aosta ​(North Italy) worn in memory of the distant homeland by the women from Vaudois who found refuge in Calabria to escape persecution.